Whether you are looking for a cruiser or a solid, seaworthy offshore fishing boat, the Luhrs 40 is built to accommodate both the needs of those wanting serious offshore platform and comfortable cruising boat. 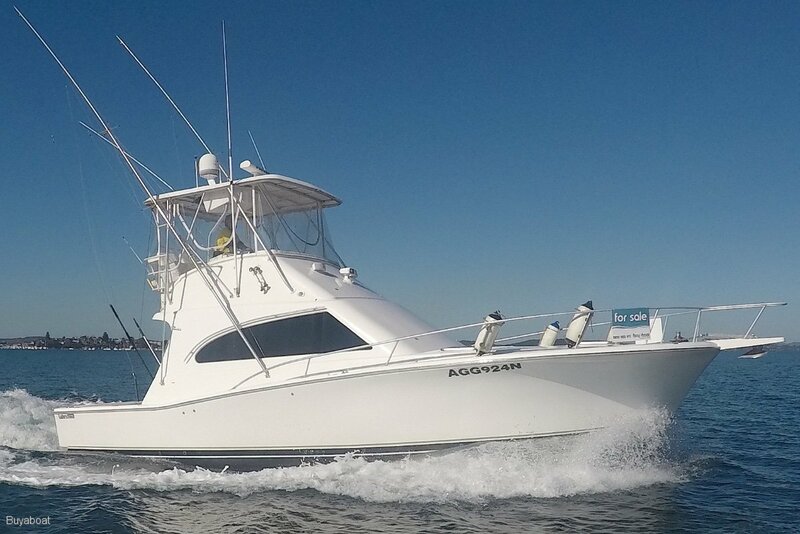 'Let it Ride' is a 2004 Luhrs 40 and features solid flybridge hardtop with new clears, large cockpit with plenty of fishing friendly features, rod holders everywhere, outriggers, comprehensive navigation and electronic systems throughout. The spacious interior is large and comfortable, with new carpets throughout, full galley, private accommodations with plenty of storage lockers and drawers, air conditioned throughout and flush with entertainment systems. Powered by twin Cummins 480 diesels with low hours, this boat is a very attractive package! Large U shaped galley with large corian bench tops and preparation surfaces. Single stainless sink with hot/cold mixer, new 4 plate electric stove, Microwave oven with grill element, double door fridge/freezer and plenty of cupboards and drawers. Separate stall shower located in head with dual access. New electric head, hand basin, cupboard storage, 110L holding tank. Stainless steel plough anchor with chain. Lewmar electric anchor winch with helm and deck control switches.